Q1. Are you using Skype as part of your communications and if so, how? Q2. Have you purchased a SkypeIN number so that you can receive regular phone calls by VoIP? Q3. It’s possible to connect a mobile phone to your Skype account so you can send SMS to other phones. Does anyone do this? Q4. Any podcasters here? Did you know you can record video and audio conversations using Skype third party plugins? Q5. Must we use the “Skype for Business” account or can you get by with a regular “Skype” account? Hello, my name is Darren, and I love hashtag hours on LinkedIn. 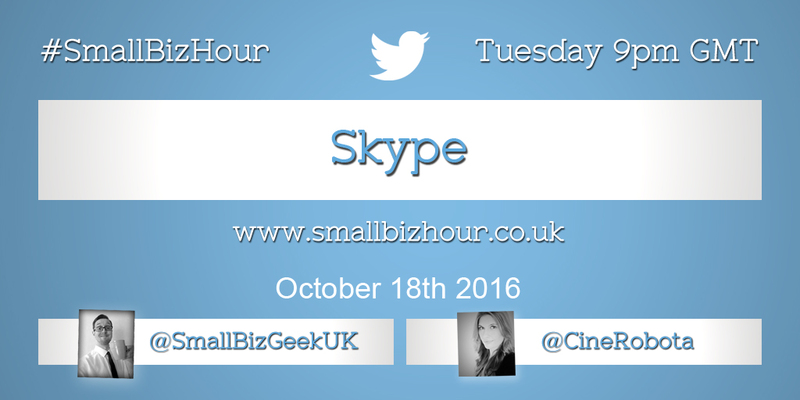 Every Tuesday at 9pm GMT I am privileged to not only participate in but to host #SmallBizHour. Join in each week to share ideas, help out, ask questions and chat with like minded people.